As we expected, Samsung Galaxy Note 8 was eventually unveiled with probably the best features in 2017. There is no doubt the new Note is a flagship killer, but if you will have a glance at all the specifications, you will find that the battery is not ample enough. For a 6.3-inch Quad HD+ Super AMOLED display powered by the most powerful SoC, it ticks a smaller 3300mAh non-removable battery compared to its predecessor Note 7. Samsung is being a bit more cautious after last year’s Note 7 battery fiasco. 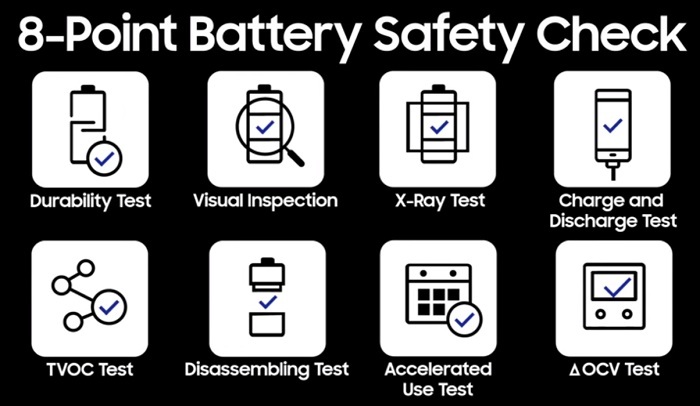 This time every battery Samsung ships is subjected to the company’s new right point safety check. You won’t be concerned about the battery explosion problem, but you should be careful when picking any charging accessory to juice up the new flagship. Most of us have more than one device which needs to be charged at home or on the go, besides the original bulky charger, an extra portable wall charger, car charger, desktop charger and battery pack seems essential. For those who always pick their phones to check notifications or time when charging, a wireless charger is an added bonus. And as Galaxy Note 8 features the latest USB Type-C port, shopping for a perfect charging companion is essential. Tronsmart, as a charging expert, will give you some recommendations on above charging gadgets you may want to purchase. A portable charger can save you. Portable charger, also called power bank, is maybe the most significant charging accessory most customers would like to take. 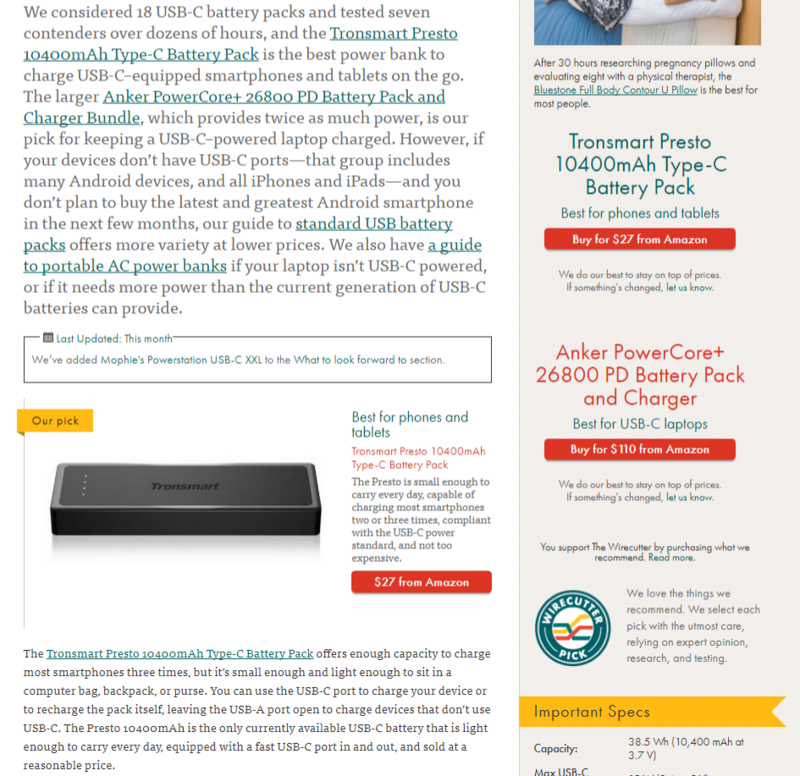 When purchasing an external battery pack, there are many elements you need to take into consideration, the battery capacity, charging speed, and build quality are the priorities that many of us would consider, and other non-technical parts like portability, design, and appearance aren’t less important than technology.We dare not to say Tronsmart portable chargers are the best, let’s follow the celebrated news media The Wirecutter’s pick. We considered 18 USB-C battery packs and tested seven contenders over dozens of hours, and the Tronsmart Presto 10400mAh Type-C Battery Pack is the best power bank to charge USB-C–equipped smartphones and tablets on the go. The Presto 10400mAh power features a USB output port with Quick Charge 3.0 technology and a USB Type-C port with 5V/3A fast charging. You can use it to rapidly charge Samsung Galaxy Note 8 and another USB Type-C device. 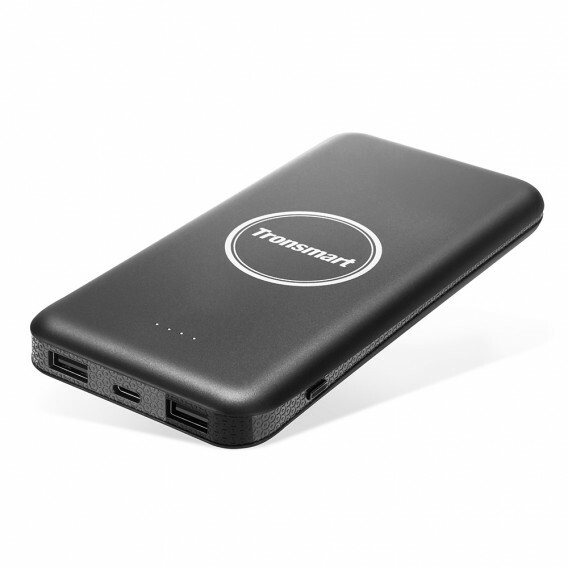 You can check the portfolio page of Presto 10400mAh power bank on Tronsmart official site. Grab one at $26.99 on Amazon store. If you want a less inexpensive portable charger, you can consider the Presto 10000mAh, which is also recommended by The Wirecutter as the best one-size-fits-all battery pack if your Android device supports QC 3.0 and you need faster charging. Current price is $20.99 on Amazon store. Wireless charging or Qi charging is one of the key features in Samsung flagship phones. Although using a cable to charge your smartphone isn’t difficult, but it’s much easier to set your phone on a charging pad than to fiddle with a cable. 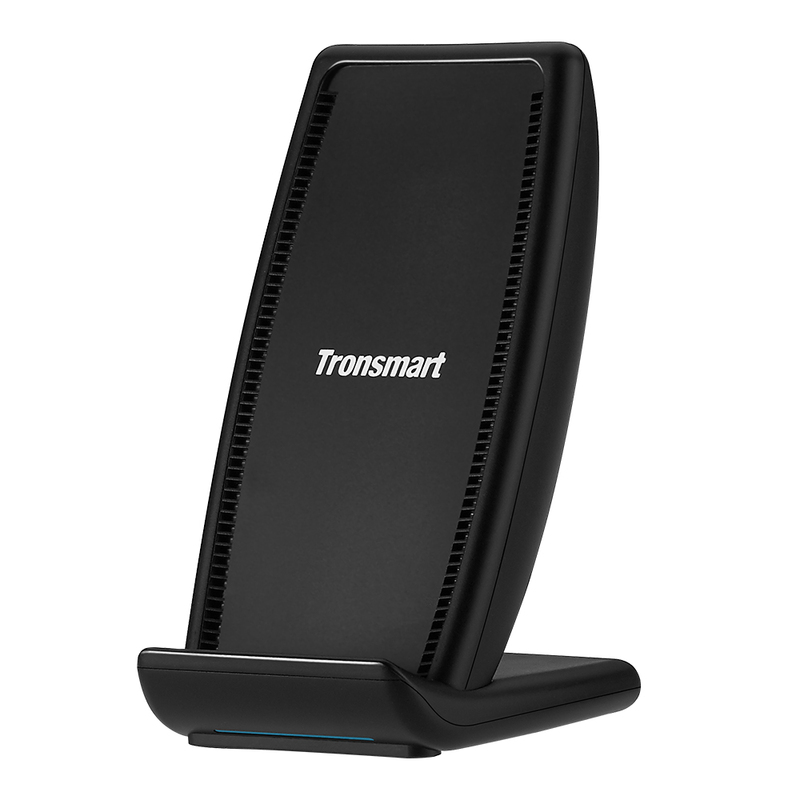 Tronsmart’s AirAmp wireless fast charger can wirelessly fast charge your Samsung Galaxy Note 8 up to 10W power. Its 10W power output is noticeably faster than conventional chargers. You can rest your smartphone in vertical & horizontal position to get fast charging or just hold your smartphone if you don't want to charge it. Rear cooling vents are made for optimal performance & stability to cool down the charging temperature. If you're having difficulty choosing a wireless or USB charger, we recommend the Tronsmart AirAmp Hybrid Wireless Charging Power Bank. It is a 2-in-1 wireless & USB portable charger. If you're tired of carrying bulky cables and constantly plugging them in then this is the charger for you. Simply sit your Samsung Galaxy Note 8 on the surface of this power bank and it'll start charging. It has a wireless output up to 10W and the portable design allows you to charge at home, in the office or on the go. Speaking of third-party chargers, quality and safety always need to be considered. 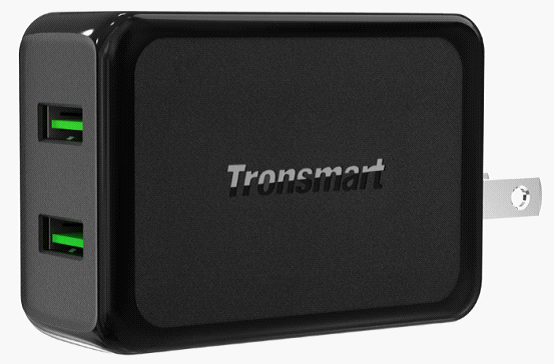 Tronsmart has been in R & D of Qualcomm Quick Charge for over 2 years, and more than ten of Tronsmart chargers have been certificated by Qualcomm. How to choose a Tronsmart charger as your backup charger for Samsung Galaxy Note 8? 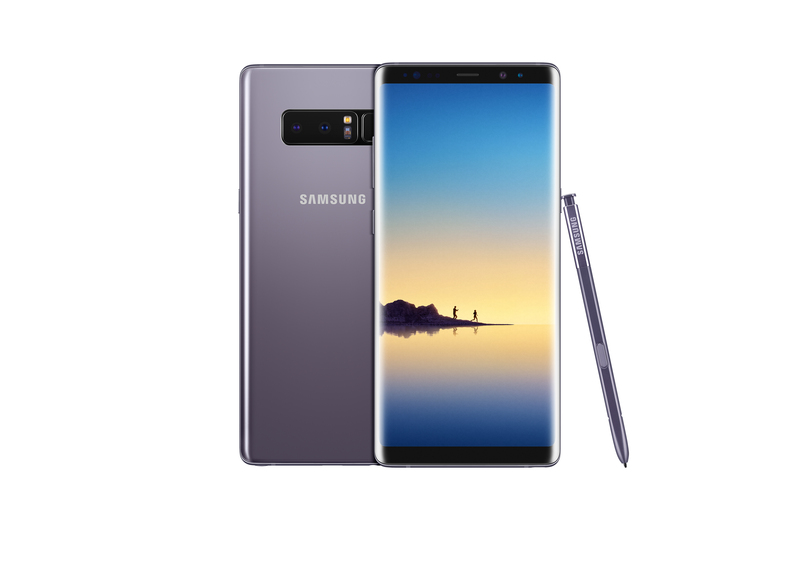 Samsung Galaxy Note 8 supports Samsung Adaptive Fast Charge, but you can also use the Qualcomm Quick Charge enabled chargers to rapidly charge your the new Samsung Note. For wall chargers, we suggest the Tronsmart dual-port Quick Charge 3.0 wall charger. You can use the charger to also plug in other QC-enabled devices or a Lightning cable to charge your iPhone, iPad. When you spend as much time in your car as most people do, you definitely need a fast car charger to keep you on the move. 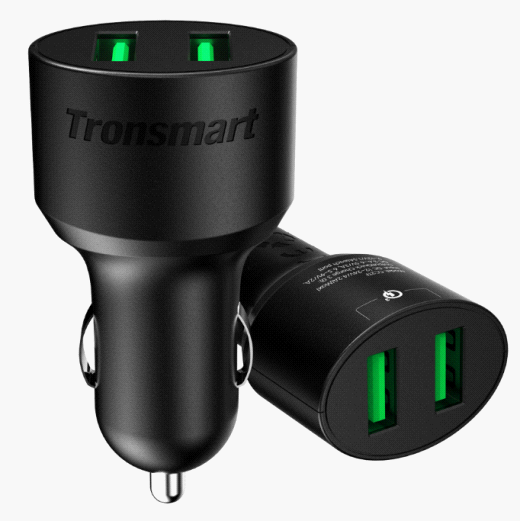 The Tronsmart dual-port Quick Charge 3.0 car charger can satisfy all your needs. It shares the same features as the dual port wall charger above. It is the best car charger for rapidly charging the Galaxy Note 8. 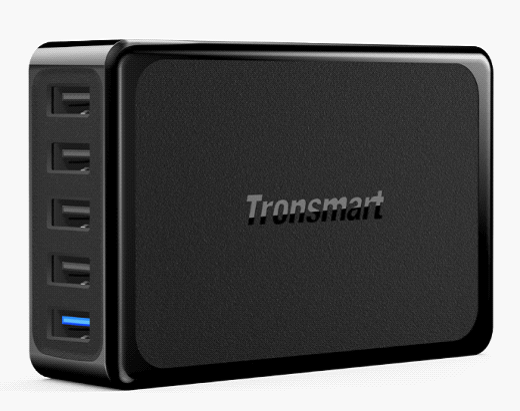 If you have more than two devices to charge, the Tronsmart five-port desktop charger will be probably your best choice. One blue USB port supports Quick Charge 3.0, and the remaining four ports feature Tronsmart’s VoltiQ technology. Our VoltiQ charging tech is the best solution to charge non-QC enabled devices like regular Android and iOS devices. Galaxy Note 7 features the latest USB Type-C port for wired charging and data syncing. Since there are still many devices that don’t support USB Type-C, some USB Type-C adapters will be inevitable when connecting the Note 8 to other devices. One point you should keep in mind: all Type-C adapters should have 56kΩ resistance. The following USB type-C adapters all comply with USB Type-C rules. 1. Micro USB to USB Type-C adapter. You can find more Micro USB cable than USB Type-C cable around you, if you forget to take a Type-C cable alongside when you are on the go, a Micro USB to USB Type-C adapter will be a big hand to you. Use Tronsmart CTMF3 Type-C adapter, you can use any conventional Micro USB cable to charge Galaxy Note 8. And the adapter supports the USB OTG function, so your USB flash drives can be connected specifically for data transfers. 2. USB Type-C to regular USB port adapter. This kind of adapter is used to extend your Type-C device to other peripherals. Most peripherals use the regular USB port format when you want to connect your Galaxy Note 8 to USB storage drives or other USB connected accessories. 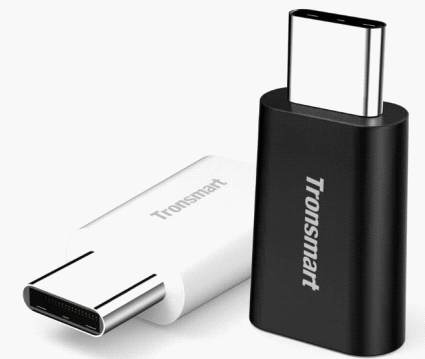 For this situation, the Tronsmart Mini Type-C to USB 3.0 adapter is your best choice. 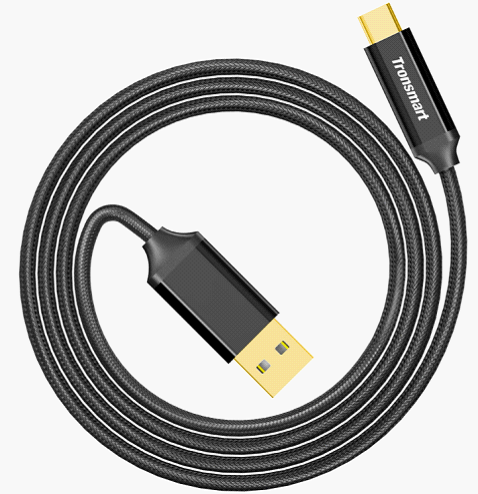 USB Type-C cables to charge & sync data. Last but not the least, one of the most significant parts of charging is the cable. For charging the Samsung Galaxy Note 8 at home or office, a durable USB Type-C cable will be essential. 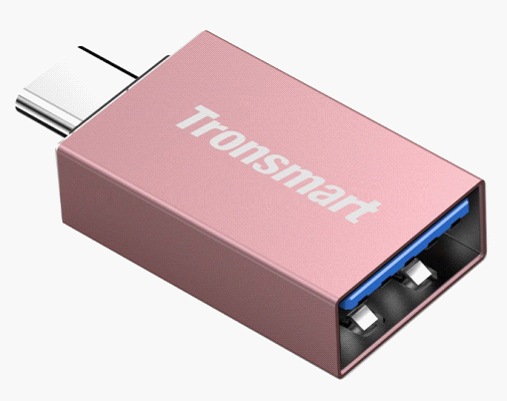 You can choose the Tronsmart USB 2.0 Type-C Sync & Charging Cable. It comes in double braided nylon design, sturdy construction and gold-plated connectors offer strain relief for frequent plugging and unplugging. Any of the above Tronsmart accessories will work great with your new Galaxy Note 8. If you have any questions about chargers, power banks or safe phone charging practices, feel free to reach us at support@tronsmart.com or on our Facebook Page.